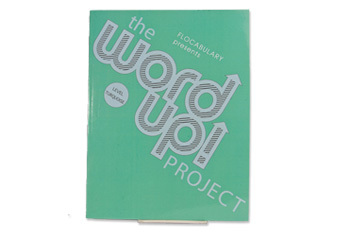 The Word Up Project: Level Turquoise directly teaches 140 vocabulary words to increase students’ reading and oral comprehension, vocabulary, and writing ability. The units teach word meaning through a series of increasingly challenging exposures, including a nonfiction reading passage. The Teacher Resource Book contains a complete guide to using The Word Up Project in the classroom, including lesson plans, additional activities and reproducible tests for each unit. Written at a 2nd grade reading level, this title can be used with advanced 1st graders, struggling 3rd graders, and English language learners. The program is proven to raise state test scores. Oh, yeah—a little story about Mr. Frog and his son Frog Junior. It’s a lesson for y’all. Learn how to look before you leap. Let’s go. You better look before you leap! Don’t jump if you close your eyes. ’Cause where you land might be a surprise. Do you know Mr. Frog and his son, Frog Junior? They lived in a pond, didn’t own a computer. They ate flies sitting on a lily pad. In the summer it kept them really cool. Until one summer when times got tough. And the frogs’ pond just dried right up. And Mr. Frog said, “Yeah, son, I agree. That wasn’t close; it was far away. It went far into the ground with water way down. Mr. Frog said, “How will we get out? If we were stuck down there, we would probably die. ’Cause where you land, there might be a surprise. Jumping up and down like popcorn. So they looked around to find some food. The saw a whole bunch of flies. But flies are most frogs’ favorite food. But Mr. Frog saw a truck speeding down the block. Would there be an accident? A mistake or a crash? Mr. Frog grabbed his son and pulled him back. “Ribbity-Ribbits! You could have died! Look both ways when you cross to the other side. There’s nothing on it, and no one’s there. You’re smart; I mean you’re wise.